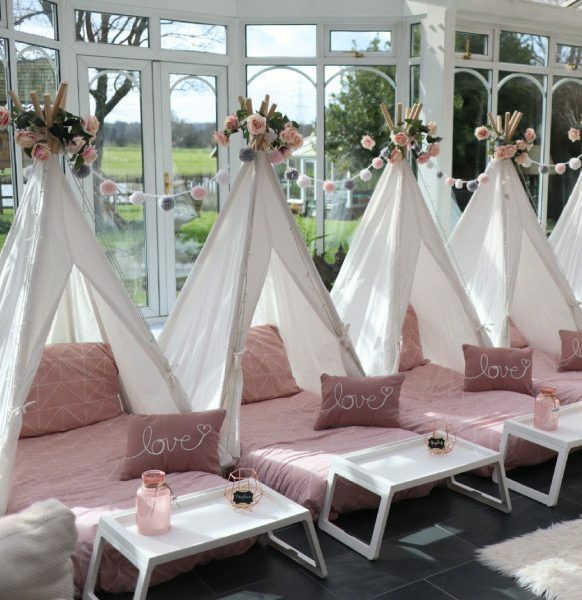 Have all your friends round for a fun night under the stars! 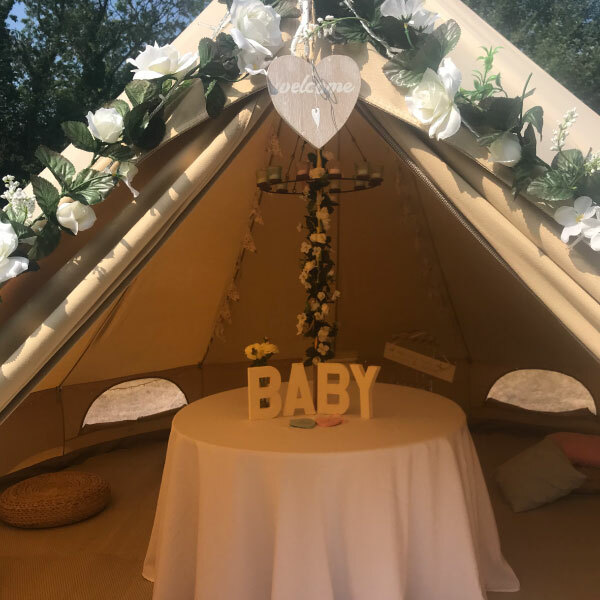 Offering day hire for a baby shower, birthday celebration or pamper party, to an overnight stay under the stars for a romantic getaway, girls’ night in or a sleepover, our beautifully decorated bell tents provide the perfect backdrop for any event. 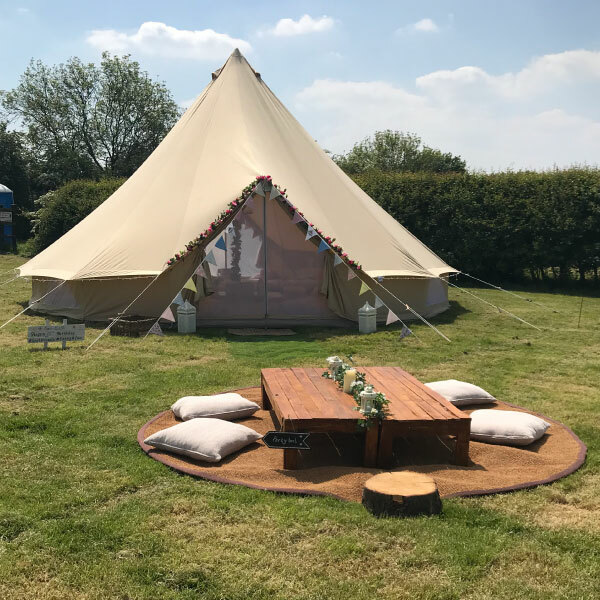 We work with some fantastic venues, so you have the option of choosing from a handful of select hideaways situated off the beaten track, or we will happily set up in your garden or any other suitable location. 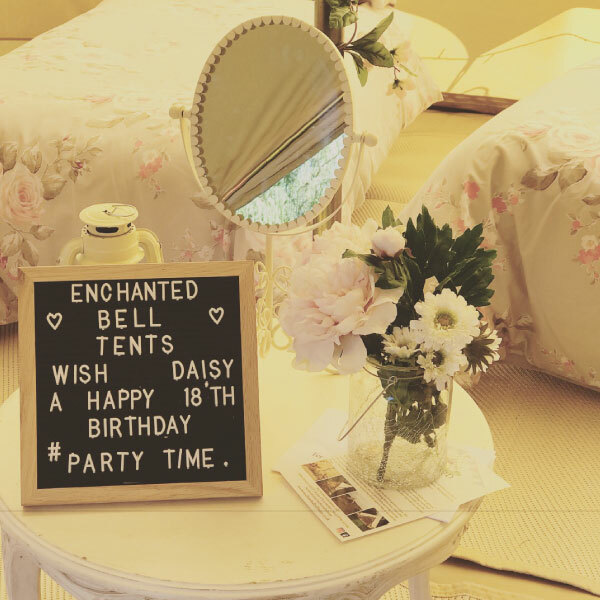 Contact us with your date and details of the occasion you’re celebrating, and we’ll do the rest for you. 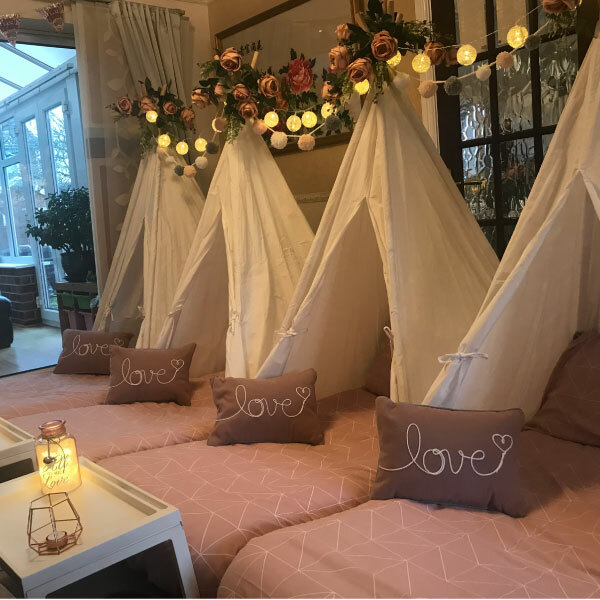 Visit our Wedding page for more information on our Hen Glamp Out weekends. Sleeping under the stars in one of our bell tents is a truly magical experience for any birthday boy or girl. Our aim is to make your event unique. 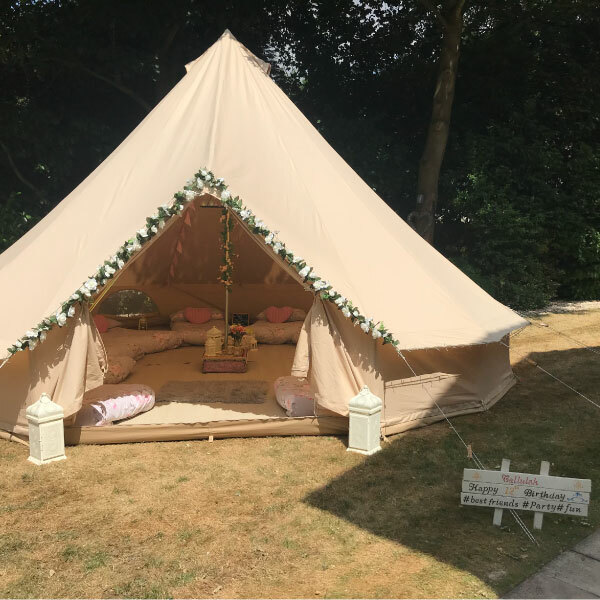 We supply the tents, bed linen and offer a variety of different themes, from vintage, unicorns, woodland to name just a few. 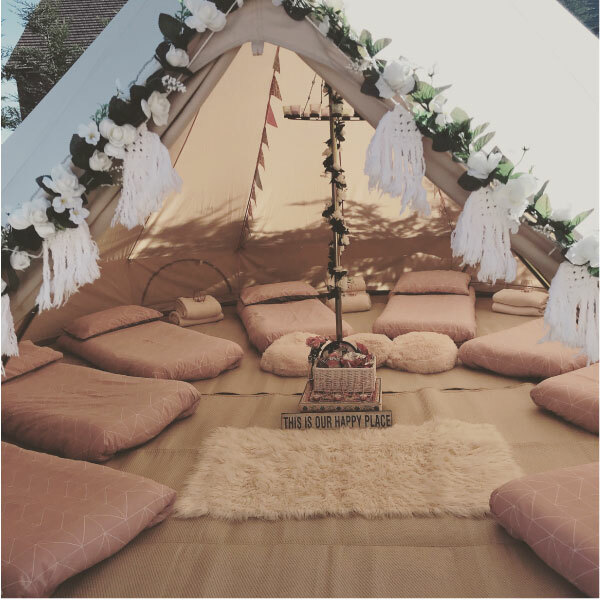 We also offer our mini tipi indoor slumber party option for the colder months of the year as an alternative to our beautiful bell tents. Let us set up the tents for an exciting night under the canvas – the slumber party will be the talk of all your friends. Prices from £180 from 5pm until 11am the following morning. All prices include a beautiful fully dressed bell tent, beds and beautiful linen delivered to your chosen venue. 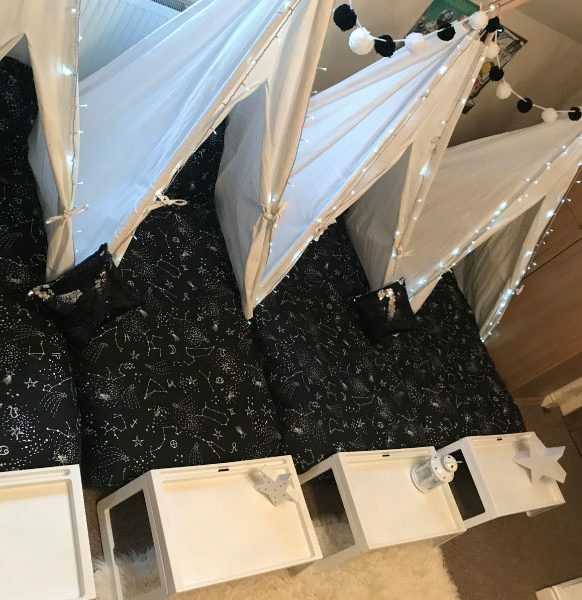 Extra beds are available at £10 each. a ‘midnight feast’ hamper with; popcorn, crisps & chocolates. 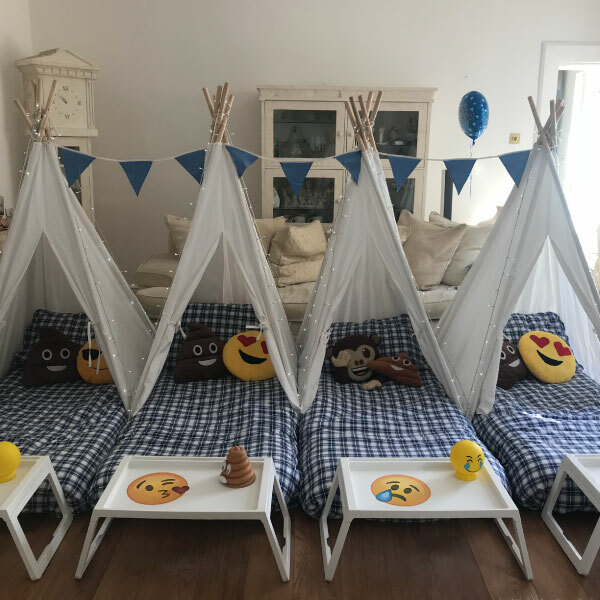 Note: Whist we supply warm bedding, please be aware that it can be cold overnight so please take this into account when booking a sleepover for younger children. 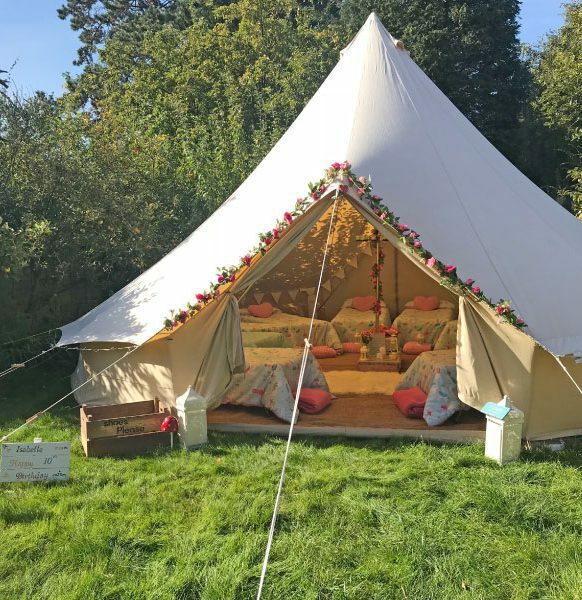 Please check that no children have any allergies as Enchanted Bell Tents accept no responsibility. 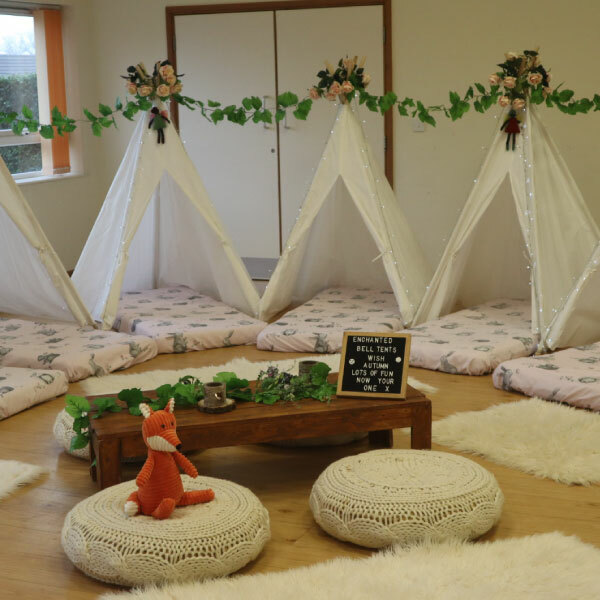 We also offer our beautiful indoor mini tepee slumber parties, these are a fabulous alternative to our bell tents when our bells are having a well-earned rest during the winter months. The price is £130 for 4 fully decorated tepees to include all below, each additional tepee is £15 each. We don’t use airbeds, we use a 160cm x 70cm junior mattress, these ensure your child has a comfortable night. 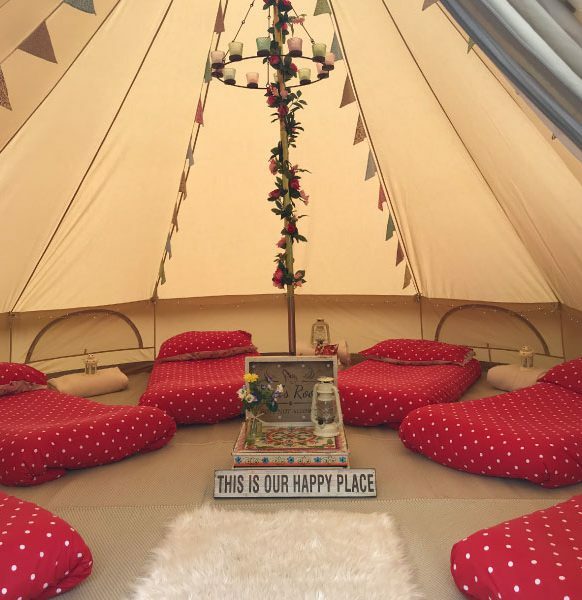 Fancy a glamping weekend away? 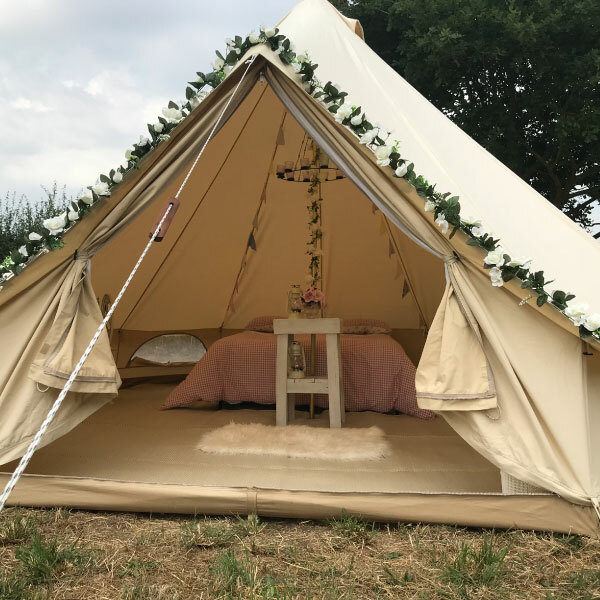 A world away from conventional camping – opt for one of our luxurious bell tents with all the bedding and accessories or we can happily set up a ‘blank canvas’ for you to bring your own beds and bedding along. We can highly recommend Etties Field which is a relaxing glamping location based in Leicestershire for those looking for a weekend away with a difference. Read more about them in our ‘Our Friends’ section. 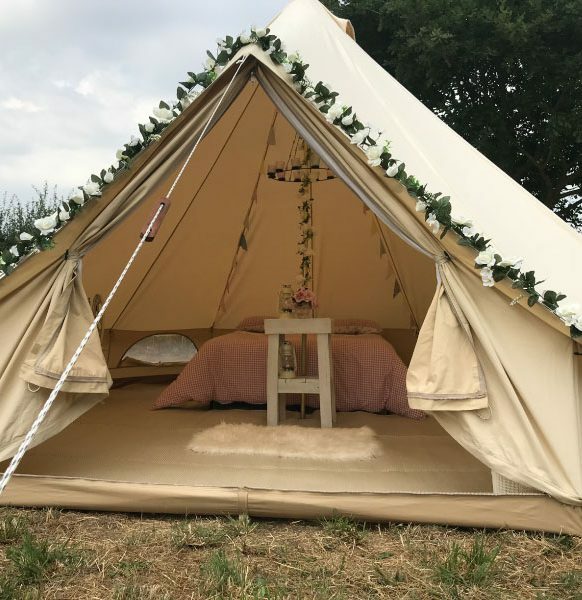 We can set up everything for you, so you don’t have the worry of bringing all your own camping gear, leaving you to relax and enjoy your holiday from the moment you arrive. 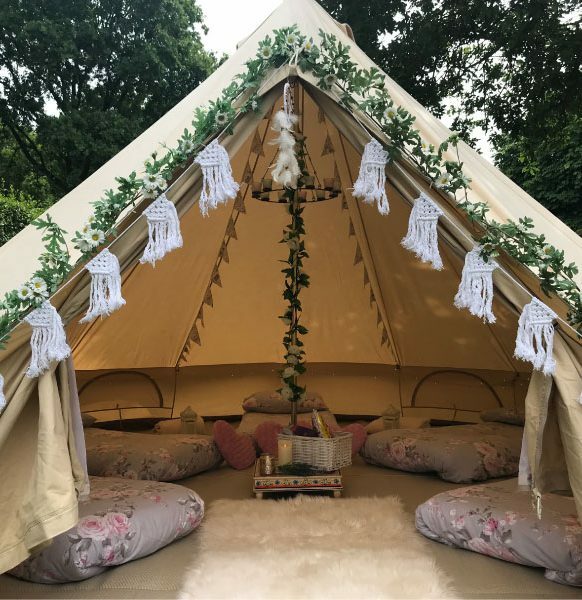 Please note the prices below are based on one night’s stay (campsite fee is not included). Extra beds can be added, doubles £25 each, singles £15 each. 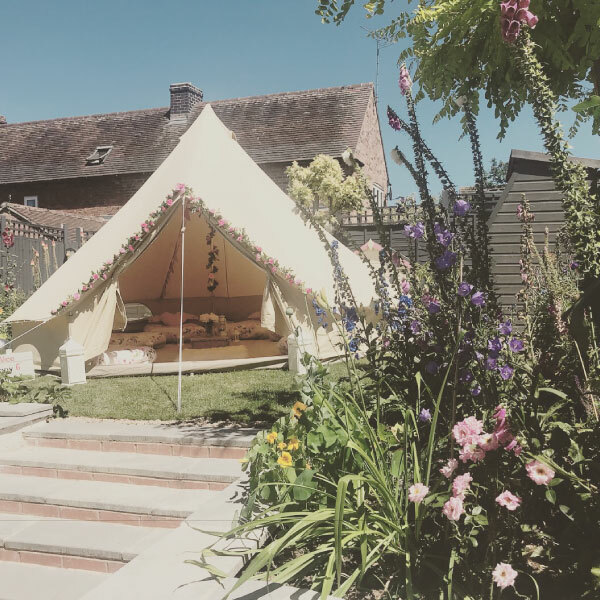 Additional nights are £30 per night. 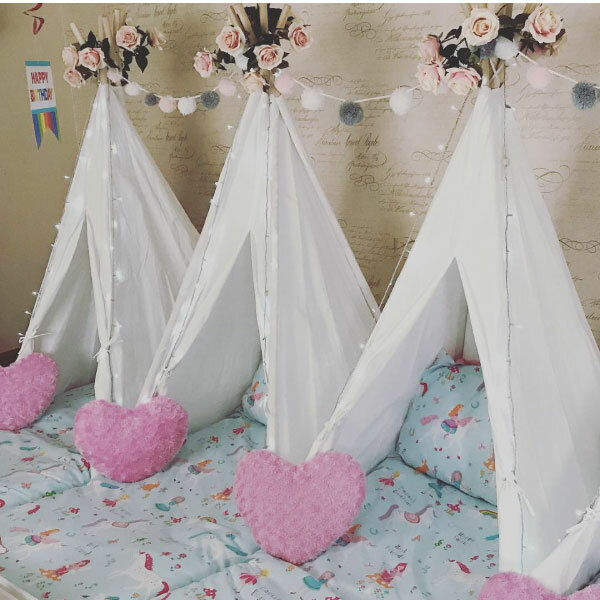 My daughter will never forget her amazing sleepover! And its been the most talked about party to date ! 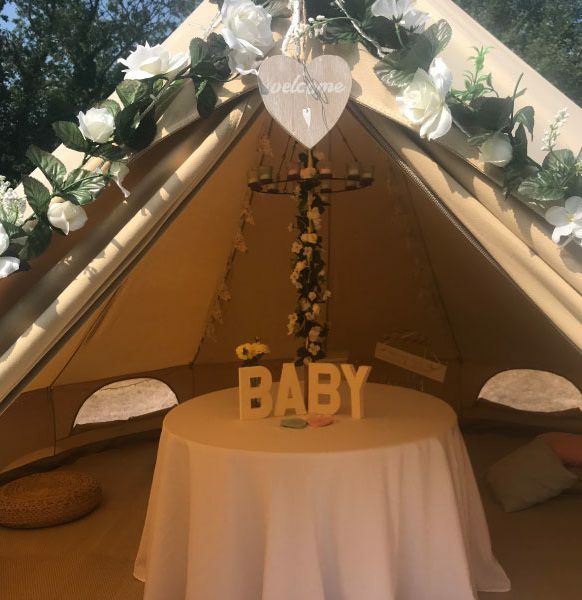 Thank you so much for an amazing set up at our festival wedding! You really did contribute to making it so perfect for us and we can’t thank you enough! 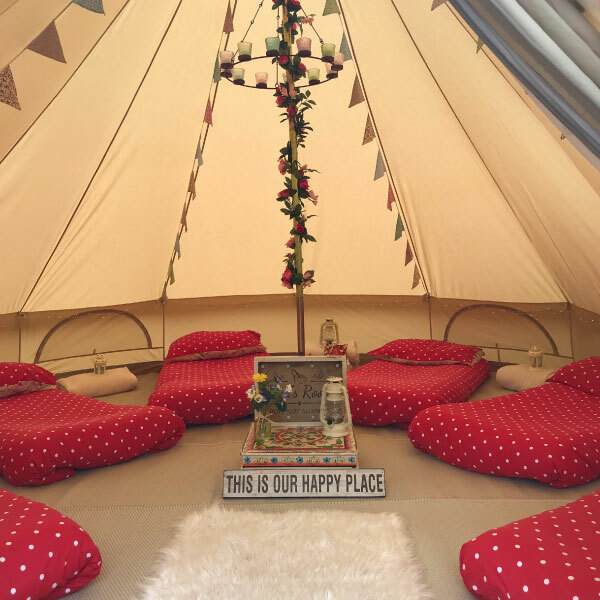 Everyone loved the bell tents, we’ve been showered with lovely comments about them! 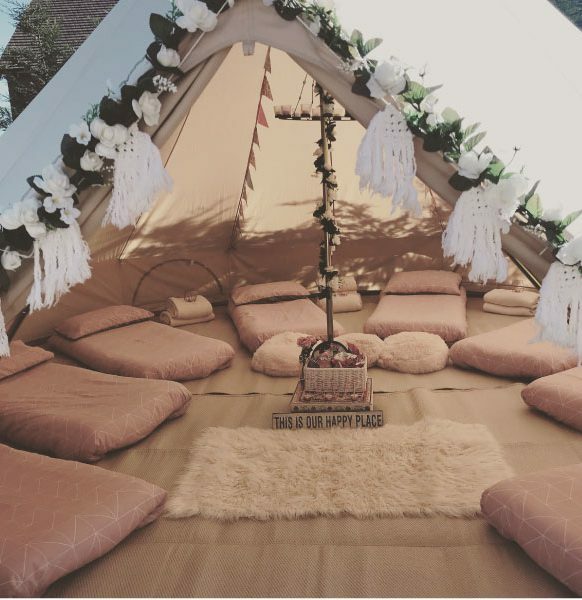 They were so beautifully decorated and the attention to detail was out of this world. 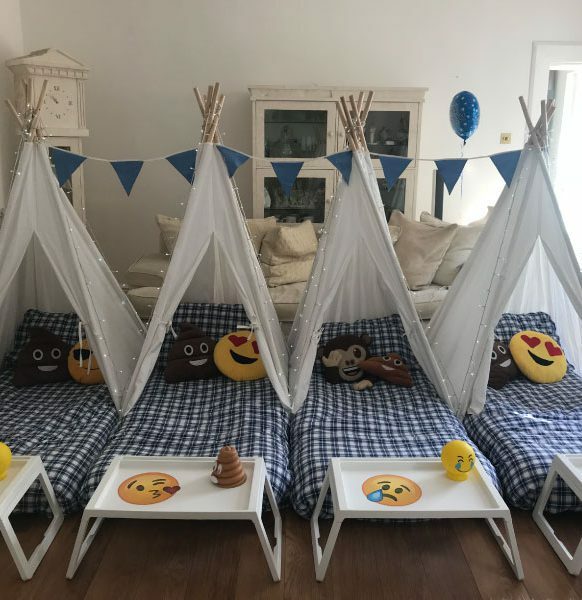 They really fit in with our theme and completed the festival look we wanted! 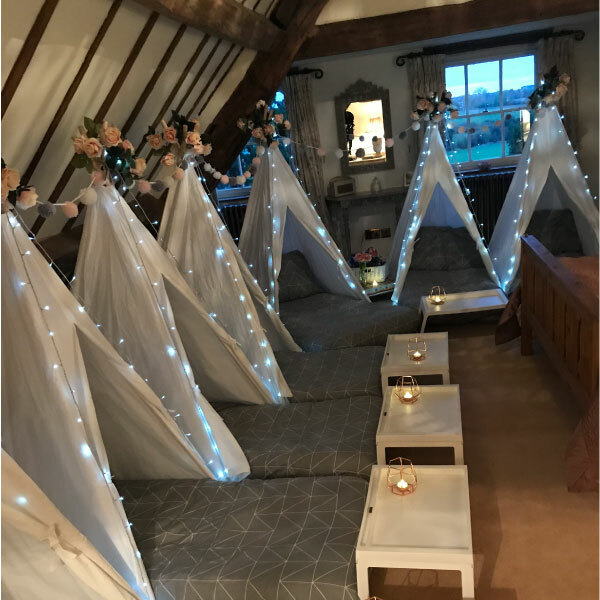 Communication was great with Karen and Mark from the moment of enquiry and their service was simply outstanding! We would definitely recommend Enchanted Bell Tents and would love to book them again! We’re just sorry for the very hot long day of dismantling the day after but you are all stars!! Absolutely first class experience and Karen is brilliant. The attention to detail for the interior and external lighting is so, so beautiful and I can't recommend this company enough. 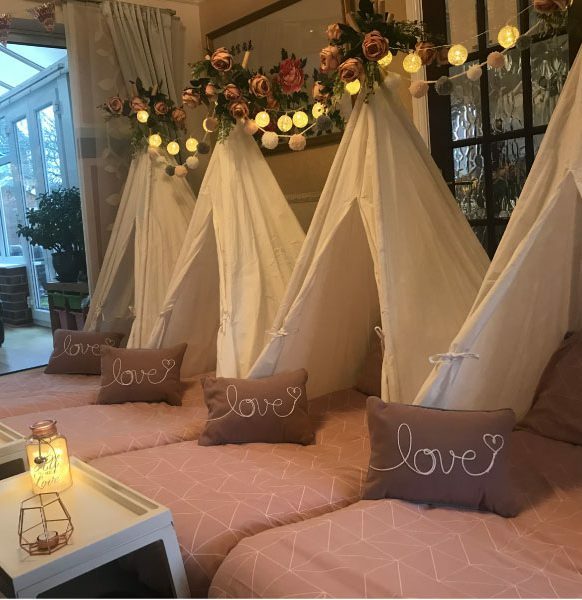 Wonderful service and a lovely sleepover for my daughter and her friends.